Features steak and chicken. Only available at the South Louise location. Dine-in only. Monday through Saturday from 11AM to 3PM. 10 and under. Dine-in only. Monday through Saturday from 11AM to 3PM. In over a decade of business, we have discovered that many of our patrons have a favorite dish they like to order each time they visit us, while others prefer to experiment. We offer daily specials on some of our most cherished entrees as a way to encourage customers to spread their wings and introduce their appetites to even more authentic Mexican flavors, including our lunch buffet menu and combo meals. Family is central to Mexican culture. At Puerto Vallarta, and as a family owned business, we are on a mission to provide families with the opportunity to nourish these bonds as they linger around tables laden with delicious food. As such, we use only fresh, made-from-scratch ingredients in our original Old-World recipes, including our hand cut and marinated meats, fresh vegetables and salsas, private recipe sauces, and more. Luis, owner of Puerto Vallarta, was born in Mexico and has worked hard to develop a menu containing many of his home country’s most beloved dishes. Using time-honored ingredients and traditions found in the towns and villages of Jalisco, all of our entrees are painstakingly prepared with a genuine, yet mild, Mexican flavor. We serve hot salsa on the side for guests who prefer a more fiery taste. 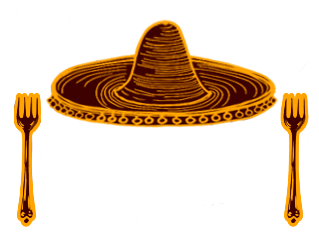 If you are unfamiliar with authentic Mexican food, please read our food descriptions, or ask one of our friendly staff for recommendations.